The Republican grandstanding on Medicare during Finance Committee hearings this week hasn't been surprising, I suppose. But the audacity is still pretty breathtaking. As you may have heard or read by now, the Republicans are angry over proposed cuts to Medicare Advantage, the private insurance alternative to traditional Medicare. The insurers who offer Medicare Advantage plans receive a flat fee for every senior that signs up. But virtually every independent expert who has studied the program has concluded that those fees are way too high--that, in effect, the government is getting a lousy deal. So when Democrats, including those drawing up the Finance bill, were looking for revenue to finance expansions of health insurance coverage, they figured that getting rid of those subsidies was a smart idea, particularly since it would generate more than $100 billion over ten years. Today, about ten million seniors are enrolled in Medicare Advantage plans, which tend to offer things like vision care, gym club memberships, and lower cost-sharing. Some of these people might have to give up those plans. And Republicans think this is a travesty. 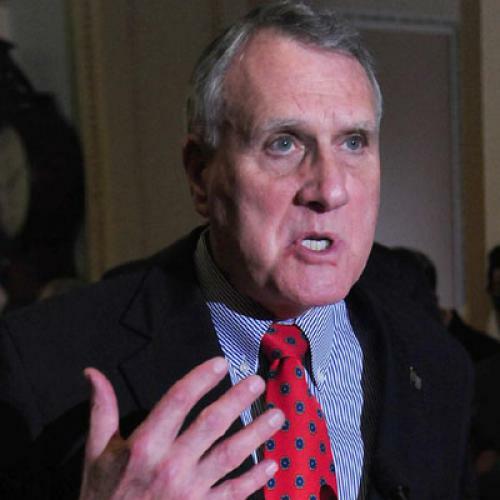 "Medicare shouldn't be the piggy bank," Senator Jon Kyl said on Wednesday. "The reduced costs fund a new entitlement. They don't help seniors who rely on Medicare." Actually, that's not clear at all. Seniors who lost their Medicare Advantage wouldn't be left uninsured--or even without the opportunity to get the extra benefits they now enjoy. They would still have the traditional Medicare program, which covers pretty much every essential medical service, as well as the chance to buy supplemental coverage to fill in the financial gaps. They might have to pay a bit more for it, but the only reason they pay less now is that the government has been over-paying insurance companies. This simply puts them on the same footing as other Medicare beneficiaries, while eliminating a source of inefficiency in the program. You could make a case--in fact, I would make a case--that the net effect is to make Medicare stronger, particularly if you believe that comprehensive reform will eventually help make the entire American health care system more efficient (thus easing cost pressures on Medicare). But put that aside and consider what sort of standing Republicans have to make this argument. Remember, this is the same party that promoted much larger, less targeted cuts to Medicare in the 1990s--and did so not to shore up the program or expand health insurance for working-age Americans, but to create room for tax cuts that primarily benefited the wealthy. Modest Medicare cuts to make the program more efficient and help working-age people get insurance...bad. Much larger Medicare cuts to give rich people get tax cuts...good. And to think Americans still don't trust the GOP on health care. Note: Sorry for the light posting over the last few days, during the Finance markup. I was preoccupied reporting and, for a while, dealing with a minor health problem of my own. Fortunately, others were on the job. I particularly recommend Timothy Noah's disptaches at Slate, which offer as insightful an account of the hearings as I've seen.